How do I make a Python + OpenCV script start as soon as my system boots up? There are many ways to accomplish. By my favorite is to use crontab and the @reboot option. The main reason I like this method so much is because crontab exists on nearly every Unix machine (plus, crontab is a really neat utility that I think everyone should have at least some experience with). It doesn’t matter if you’re on Raspbian, Linux, or OSX — crontab is likely to be installed on your system. In the remainder of this blog post, I’ll demonstrate how to utilize crontab to start a Python + OpenCV script when your system boots up. As I mentioned in the introduction to this blog post, we’ll be using crontab to launch a script on system reboot. I’ll be using my Raspberry Pi to accomplish, but the same general instructions apply for other Linux distributions and OSX as well — all you need to do is change the paths to your scripts. 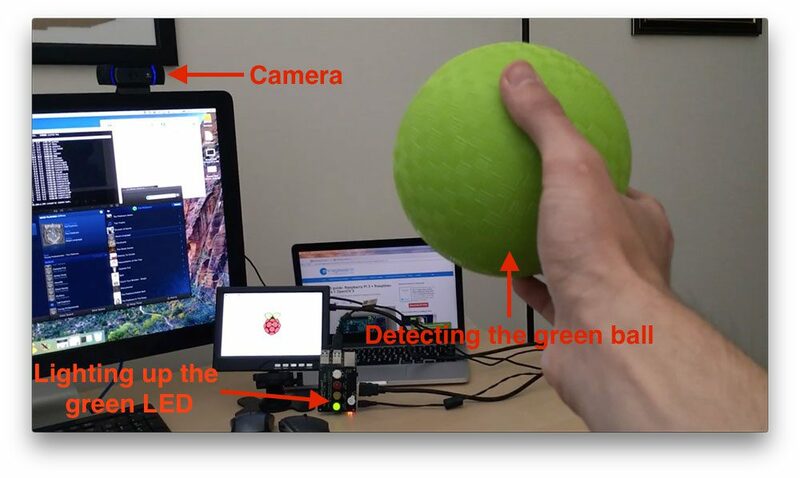 Figure 1: The green ball we will be detecting in our video stream. 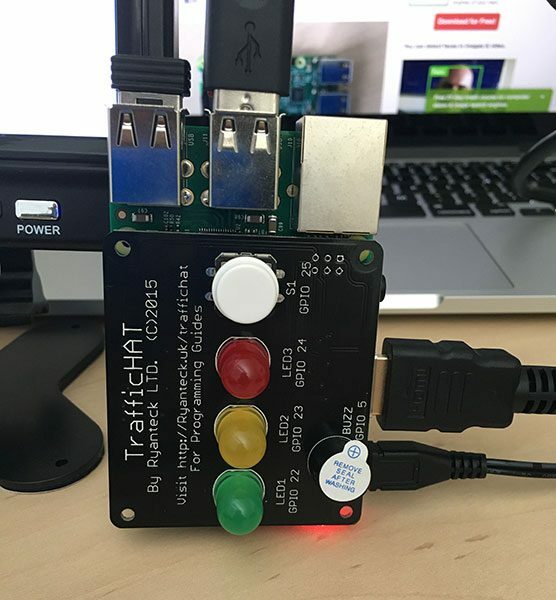 Figure 2: The TrafficHAT module for the Raspberry Pi, which includes 3 LED lights, a buzzer, and push button, all of which are programmable via GPIO. 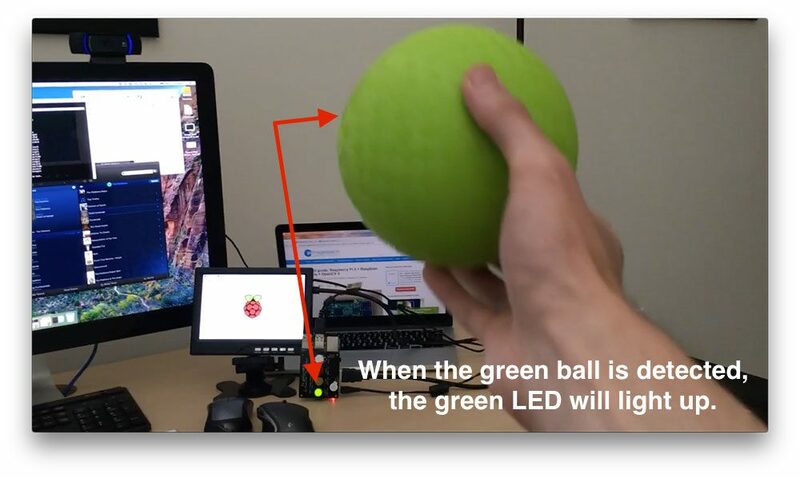 Figure 3: Notice how when the green ball is detected in the video stream, the LED on the TrafficHAT lights up. 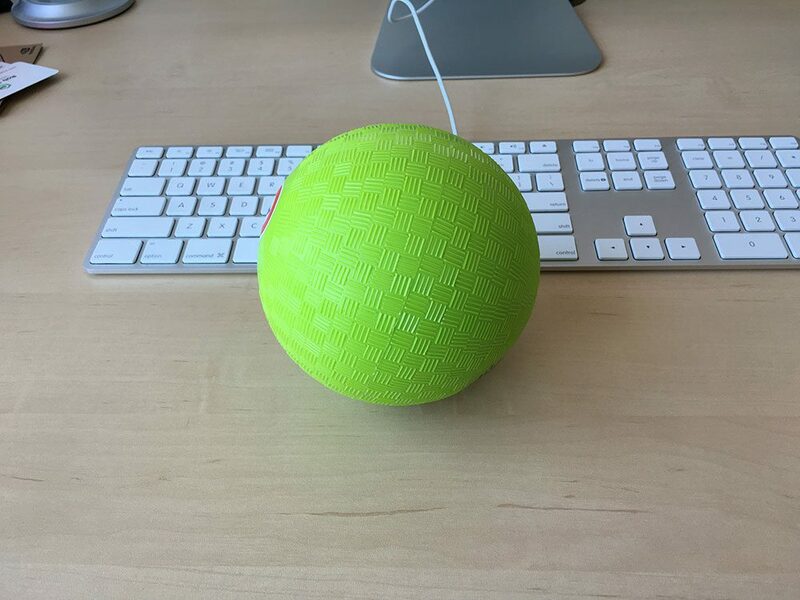 Here we can see the green ball is in view of the camera. Our program is able to detect the presence of the ball, light up an LED on the board, and if there was sound, you could hear the buzzer going off as well. Today, we are going to take this example alarm program and modify it so that it can be started automatically when the Raspberry Pi boots up — we will not have to manually execute any command to start our alarm program. (Optional) Accesses our Python virtual environment. I’ve marked this step as optional only because in some cases, you may not be using a Python virtual environment. But if you’ve followed any of the OpenCV install tutorials on this blog, then this step is not optional since your OpenCV bindings are stored in a virtual environment. Executes our Python script. This is where all the action happens. We need to (1) change directory to where our Python script lives and (2) execute it. Accomplishing both these tasks is actually quite simple. When we reboot our Pi, the on_reboot.sh script will be running as the root user (provided that you edit the root crontab, of course; which we’ll cover in the next section). However, we first need to access the cv virtual environment (or whatever Python virtual environment you are using), so we’ll call source /home/pi/.profile to setup the virtual environment scripts, followed by workon cv to drop us into the cv environment. Note: To learn about Python virtual environments, please refer to this post. After we have setup our environment, we change directory to /home/pi/pi-reboot , which is where I have stored the pi_reboot_alarm.py script. Finally, we are ready to execute pi_reboot_alarm.py — executing this script will be done within the cv virtual environment (thanks to the source and workon commands). 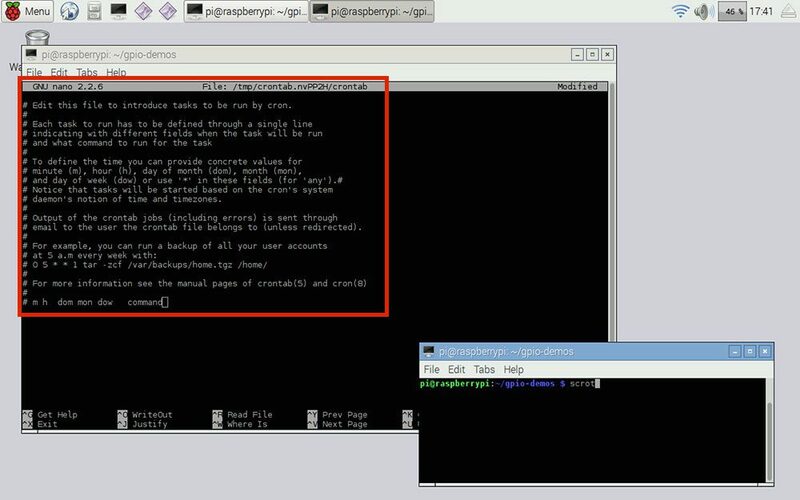 Note: Again, make sure you have read both the accessing RPi.GPIO and GPIO Zero with OpenCV post and the OpenCV, RPi.GPIO, and GPIO Zero on the Raspberry Pi post before continuing with this tutorial. Both of these posts contain important information on configuring your development environment and installing required Python packages. After changing the permissions of the file to executable, you’re ready to move on to the next step! Now that we have defined the on_reboot.sh shell script, let’s update the crontab to call it on system reboot. Figure 4: An example of crontab file. This command instructs the system to execute the on_reboot.sh script whenever our system is rebooted. Note: You can obviously replace the path to on_reboot.sh with your own shell script. Once you have finished editing the crontab, save the file and exit the editor — the changes to crontab will be automatically applied. Then at next reboot, the on_reboot.sh script will be automatically executed. Lines 2-9 handle importing our required Python packages. We’ll be using VideoStream to seamlessly access either the Raspberry Pi camera module or USB camera module. The TrafficHat class from gpiozero will allow us to easily manipulate the TrafficHAT board. And the imutils library will be used for some OpenCV convenience functions. Lines 12-17 parse our command line arguments. The first argument, --picamera is used to indicate whether or not the Raspberry Pi camera module should be used. By default, a USB webcam is assumed to be connected to the Pi. But if you want to use the Raspberry Pi camera module instead, simply supply --picamera 1 as a command line argument. The second switch, --log , is used to control the path to the output log file which can be used for debugging. Again, for a more comprehensive review of this code, please refer to last week’s blog post. Assuming you’ve read through last week’s post, you might notice an interesting modification — I’ve removed the call to cv2.imshow , which is used to display output frames to our screen. Mainly because our pi_reboot_alarm.py script is meant to run in the background when our Pi is rebooted — the output is never meant to be displayed to our screen. All we care about is the alarm being properly raised if the green ball enters our video stream. Furthermore, removing calls to cv2.imshow reduces I/O latency, thereby allowing our Python script to run faster and process frames quicker (you can read more about I/O latency related to video streams in this post). Figure 5: An example of the alarm program running on Raspberry Pi after reboot, detecting the presence of the green ball, and then lighting up the green LED on the TrafficHAT board. And if you watch the video above, you can also hear the buzzer going off at the same time. In this blog post, I demonstrated how to use crontab to launch a Python + OpenCV script on reboot. To accomplish this task, I utilized my Raspberry Pi; however, crontab is installed on nearly all Unix machines, so no matter if you’re on Linux or OSX, crontab is likely available for you to use. Anyway, I hope you enjoyed this series of blog posts on utilizing the Raspberry Pi, OpenCV, and GPIO libraries. If you would like to see more blog posts about these topics, please leave a comment in the comments section at the bottom of this post. And before you go, don’t forget to enter your email address in the form below to be notified when new blog posts are published! That’s a useful tutorial, exactly what I needed right now. Great job! More articles on interfacing between OpenCV and GPIO would be welcome, e.g. working with a DC+Stepper Motor HAT which moves the camera to follow an object. Thanks Atomek! I don’t have a stepper motor/servo yet, that’s something I need to invest in. Do you have one that you’re already using that you can recommend? I’m using a 2 axis motor from car mirror. It’s supposed to required 12V but I’m running it straight from Raspberry’s USB 5V. It’s slower but that allows for more precision. Just a heads up, @reboot isn’t terribly reliable. Setting up an init script/systemd unit file (depending on OS version). Would be a much more reliable way of accomplishing what you’re looking for. With systemd you’d also get the free benefit of process monitoring and sane logging. I (personally) don’t like systemd for this type of thing as this GIF jokes about. Upstart for Debian-based systems is also a good option. my script is still running but it is not executing inside the virtual environment. When I type workon cv at the command prompt it runs without a problem and I can get into the virtual env. Any ideas what I might be missing here? Thanks much for all your guidance. It sounds like your .profile file is not being source‘d before executing workon. Without running source /home/pi/.profile first, your system paths will not be setup correctly to find the workon command. Hi Adrian, thanks for your kind reply. This is why I’m all confused. and as you will note I am able to get into the virtualenv without any trouble and then deactivate to come back out. but when I execute this I get the workon: command not found error. So if I understand this correctly what you are suggesting is that the call to source ~/.profile in my script is not doing its job and as a result my system paths are not setup for the script to find the workon command. Funny thing is, as soon as I terminate the script and type workon at command prompt I am able to get workon to run. Hope this provides some hints as to what might be wrong in my environment. Many thanks for your amazing support. Awesome, thanks so much for sharing Hai! I have the same prob as kerem. I followed your installation tutorial for pi 3 + opencv + python. I ran the on_reboot.sh in root in order to emulate what happens during boot. The results were the same as kerem said. It seems we are only able to go to our opencv virtual env after logging in (not in root). How are you able to go to your virtual environment while still in root? And from there, you can access the cv virtual environment as the root user. You can apply the same technique to your shell scripts that are launched on boot as well. thanks for the reply. but unfortunately it didn’t work. once I typed workon cv. an error has occured. ERROR: Environment ‘cv’ does not exist. Create it with ‘mkvirtualenv cv’. If the cv virtual environment doesn’t exist, then you may have installed OpenCV without Python virtual environments. That’s totally okay, but you’ll need to manually debug the issue. Please note that I can only support OpenCV install questions if you followed one of my OpenCV install tutorials. So your goal is to boot up your Pi, have it automatically launch the GUI interface, and then at the same time open your TKinter GUI script? On boot up, Pi launches with GUI interface, only how to open Tkinter GUI script? I personally haven’t tried this before, but I imagine you could accomplish this by editing your .xinitrc file. I had started learning OpenCV with your book about 2 years ago. Now, It is quite amazing to see how you constantly enhanced your courses/blog posts according to industry and our needs over the past years. And again, you sensed our needs quite accurately by publishing this crontab tutorial. Hey Ishant — it’s hard to tell what the exact issue may be on your machine without having access to it. Take a look at my reply to “Luis Lopez” above for suggestions on how to debug the script. hey adrian, first of all thank you for all the help you provide us, i have learned a lot from you and i just want you to know that you are a great teacher and person. Now, I have a problem with one script, I did everything you said in this lesson and it works just fine when I reboot except with one script that does nothing after the reboot reboot, it’s the only one that does this and the only difference between this script and the others is that I use the skfuzzy library, do you think this has something to do? or how can i check whats wrong?. I would suggest inserting as many logging statements into your script as possible. Have the script write to a file you can monitor (like using print statements to debug). You may have forgotten to install skfuzzy into your virtual environment and the script could be throwing an error when trying to import it (hence the script not running). That’s just a best guess though. Hello, and thank you a lot for this lesson. I have done exactly what you have instructed in this tutorial, and when I tested the on_reboot.sh file from the terminal it worked out perfectly. But unfortunately when I reboot the Pi nothing happens. I added the line on crontab file and everything, but still nothing is happening when I reboot. Do you have any idea why is this happening? It’s hard to say without having physical access to your machine. I would suggest inserting some echo calls that log to file inside on_reboot.sh to help determine if on_reboot.sh is actually being called. There might be an error in your crontab entry. It sounds like you’re trying to use cv2.imshow in your Python reboot script. This will not work since the script is running in the background. Remove the call to cv2.imshow and your script should work. Are you calling cv2.imshow from your cronjob? That won’t work. The cronjob runs in the background and does not have access to the display. will this work for home surveillance system shown in other tutorial? do i need to remove cv2.imshow part ? and how to wait before pi is connected to internet after rebooting for dropbox access? Yes, make sure you remove the cv2.imshow calls so that script simply runs in the background. will it be connected to internet before execution of code or show error? That is hard to say as you cannot guarantee an internet connection (invalid WiFi password, network down, etc.) You would want to add extra logic to ensure your Raspberry Pi is connected to the internet if that is possible. The easiest way to do this would be via a shell script rather than trying to code it in Python. Thanks for the good advice. I was using the cv2.imshow in the python script that was called on reboot and I was getting the GTK Error. I need to have the image display to work on reboot. Please advise where I can find the procedure to display the cv2.imshow image after reboot. A Python script executed in the background does not have access to the window manager, hence the GTK error. I would suggest updating your Pi such that the pi user is automatically logged into the Raspberry Pi and the window manager started. From there you should be able to update your ~/.profile file to automatically launch the script. can you please explain this i really want to start the video streaming after the boot process. the environment i’m using has imultils installed and i can run it manually but am not sure why it’s not running with @reboot?? Any hints you have would be really good, thanks! Thanks Adrian for the tutorials, really detailed and useful! my crontab is empty. I have been trying to run @reboot python /home/pi/reboot8.py. This script looks for an input on GPIO to reboot the Rpi in case of lost remote control ie., other side of the planet. I placed that statement in my crontab anyway but doesn’t take. Your instruction go from optional cv to running a cv script anyway. A little guidance please, old brains aren’t as quick the youngins. Hi William — thanks for the comment, although I’m not sure what your exact question is? It sounds like you are trying to edit your crontab file but it is always empty? Are you making sure to save and exit the editor? I added traces and yes, on_reboot is fired at boot. The problem is that .profile is not OK when running it as root. I followed completely your user guide for installing python and opencv3. I tried to copy all .profile content in on_reboot.sh and that’s the same. I think the virtualenv is not OK when running as root but I don’t know why. You do not have to activate the Python virtual environment provided you supply the full path to the Python interpreter inside the virtual environment. Indeed, this is the solution I’ve used. Another potential solution that I will check is to use cron as a different user than root. Normally this should run OK when setting the virtualenv. I want to display use cv2.imshow. How to do? Please take a look at my reply to “ghanendra”. I forgot to mention that you use the full path to your virtual env python bin when calling the script. Just as you mentioned a couple of posts up. Thank you for sharing, Jack! import error: No module named cv 2. I have installed python 2.7+openCV using your tutorial on my Pi 3 model B with Stretch OS. I am looking forward to get a solution. I am thankful to you and your support to us. However I have modified it somehow and I am running only the recognize-people on bootup. I have followed your instruction and removed cv2.imshow and the code is fully functional using terminal but not bootup. I would suggest create an entirely separate test Python script that logs a line to file (such as the timestamp). Focus on getting the script to run on boot first, then worry about running the Python + OpenCV script on boot. Right now there are too many variables. Try to eliminate some. Instead of saying “sh script”, use “bash script”. Sh and bash are not the same program. Hi Adrian , I have done everything that you have told here. Whenever I run the on_reboot.sh on terminal it runs perfectly but on reboot its not working. I can’t seem to find the problem !! Everything is alright with shell script , it works perfectly. I have checked the path that have been given to the crontab file, it’s also right, but the script won’t start at startup. I am working on raspberry pi 3 with raspbian stretch os. How are you validating that it’s not starting? Keep in mind that crontab will run the script in the background, not the foreground. In case anyone is interested; I too had problems, executing the script at startup, due to a permission problem. I tried to apply this on drowsiness detection on raspberry pi i follow everything and works fine when i run it on command line. However when I reboot the pi the script it is not working. Are you using a Python virtual environment? If so, you may be forgetting to access it via the “workon” command before executing your script. 3. From there, actually try to insert your Python + OpenCV script. On a raspberry pi with raspbian stretch, this will autostart a python 3.6 opencv 3 program that uses cv2.imshow. This is with a raspbian and Pixel. then reboot. This will autostart your opencv python program when you reboot. However, I don’t think it will restart if it crashes. Need cron or something. You can change to whatever directory you need and invoke your own programs and arguments. WOW! Thank you so much for sharing this, Peter!! I have fulfilled the procedure described in this chapter, however without success. Only after I have accomplished what was written in the comment by Peter Bahrs dated December 1, 2018, the scripts on reboot started running automatically. Thank you Peter and Adrian too !